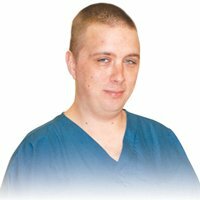 Each member of our team is dedicated to being compassionate and providing excellence in their effort to ensure that each and every patient of Altoona Lung Specialists receives the best care and customer service available. Sherri performs the duties of Practice Manager for Altoona Lung Specialists. Her duties range from assisting management in overseeing general business operations to human resources, financial reporting, and HIPAA Policy and Procedure overview. She also works with the Lung Disease Foundation of Central Pa, Inc. which is a non-profit organization dedicated to charitable efforts to inform, empower, and educate individuals on the improvement of all aspects of lung health and the quality of air in an effort to reduce lung disease. Sherri is a member of Medical Group Management Association (MGMA) and American College of Medical Practice Executives (ACMPE). 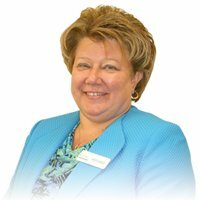 Sherri also serves on the Program Advisory Board for local post-secondary educational organizations. Sherri was appointed to the Board of Directors of the Blair County Chamber of Commerce in January 2014 where she continues to serve on the Board and various committees, such as Leadership Blair County Alumni & Adult Committees, Ambassadors, Buy Here Live Here and Golf Committees. In recognition of her ongoing support of the Chamber, Sherri received the 2012 Joseph P. Rosenhammer Chamber Spirit Award. Sherri was a recipient of the 2012 Women Making a Difference in Business Award by Pennsylvania Business Central; and graduated from the Blair County Chamber of Commerce Leadership Blair County Class of 2012. Sherri has been a supporter of the American Cancer Society Relay for Life, where she previously served as Event Chair. She currently sits on the Board of Trustees for Allegheny Lutheran Social Ministries; as well as the Steering Committee for the Healthy Blair County Coalition where she chairs the Tobacco Free Work Group. Sherri resides in Hollidaysburg with her husband, Wes, and enjoys spending time with her daughter and grandchildren. Shirley has been with Altoona Lung Specialists since 1999 and was promoted to Clinical Manager in 2012. She now oversees the clinical staff, including scheduling and ensuring smooth patient flow. Shirley also oversees the electronic medical records system. In addition, Shirley assists Drs. Zlupko, Hartman, Lucas and Kanouff with patient testing as well as securing patients vital information. 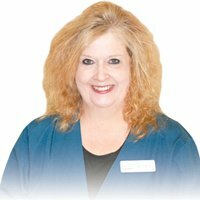 Shirley is an experienced and dedicated professional whose priority is fulfilling the needs of our patients. Shirley resides in Altoona and enjoys traveling. 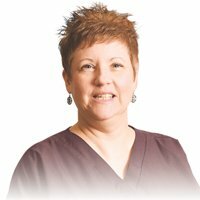 Lisa is a medical secretary at Altoona Lung Specialists. Her duties are varied and include scheduling patient procedures at our facility and area hospitals as needed. She also assists Dr. Zlupko in coordinating his schedule and ensuring that the medical records for his patients are complete and accurate. Lisa resides in Altoona and has 5 daughters and 3 grandchildren. In her free time, she enjoys painting, sewing and Zumba. Carolyn joined Altoona Lung Specialists in November 2014. She graduated from YTI as the Presidents Award recipient, with an associates degree in Medical Assisting and is also a certified Phlebotomy Technician. Carolyn prepares patients to see the physicians and assists physicians with in office procedures. She has been certified by the American Lung Association as a Freedom From Smoking Facilitator. Carolyn lives in Hollidaysburg with her family and enjoys gardening, travel and Penn State sports. 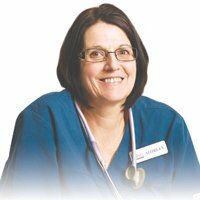 Tricia is a medical secretary at Altoona Lung Specialists. Her duties are varied and include scheduling patient procedures at our facility and area hospitals as needed. She also assists Dr. Lucas in coordinating his schedule and ensuring that the medical records for his patients are complete and accurate. Tricia received her Associates Degree of Medical Secretary at the Altoona School of Commerce. She enjoys reading and spending time with her family. 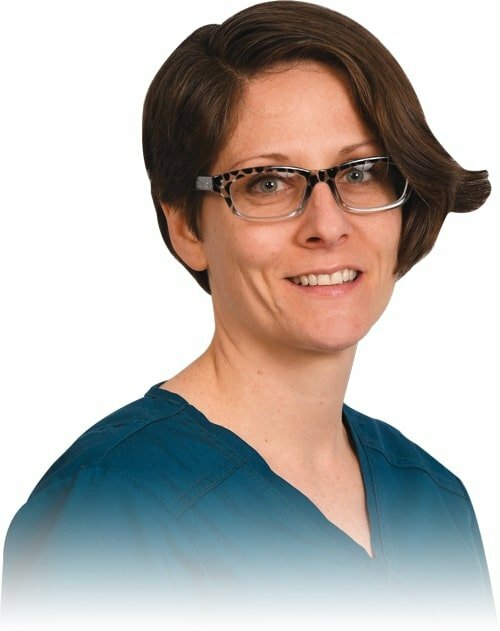 Elizabeth joined Altoona Lung Specialists Clinical Department in October of 2018, and is assigned to assist Dr. Timothy Lucas with caring for his patients. Prior to finding her passion for nursing, Elizabeth completed a BA in Criminology and an MA in Student Affairs. 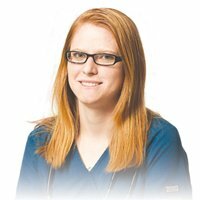 She completed the Practical Nursing Program at the Greater Altoona Career & Technology Center in 2013 and obtained her license shortly after. Elizabeth enjoys baking, spending time with her husband and children, and roller skating. Haley is a graduate of YTI Career Institute where she received her Associate in Specialized Technology Degree as a Medical Assistant. She is a National Certified Medical Assistant. 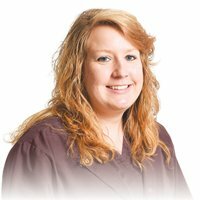 She joined Altoona Lung Specialists in May 2014. Haley performs duties as the Medical Secretary to Dr. Alan Kanouff. Haley resides in Duncansville with her family. She enjoys helping others. Nicole joined the Altoona Lung Specialists team in August of 2018. Nicole is a graduate of YTI Career Institute with an Associates Degree in Health Information Technology as a Certified Medical Assistant. She resides in Altoona with her family and fur children. She enjoys spending time with her grandson and watching Steeler football. Kylie is a medical secretary for Mr. Michael Zlupko at Altoona Lung Specialists in the Lung Disease Center of Central Pennsylvania. She is a graduate of South Hills School of Business & Technology in Altoona with a Health Information Technology Degree. Kylie enjoys oil painting and pottery, traveling, listening to music and the outdoors. She lives in Altoona with her family and two dogs, Bindy and Pepper. Samantha is a graduate of YTI Career Institute and studied art at Penn State University. 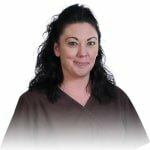 She is a National Certified Medical Assistant and joined the Altoona Lung Specialists team in June 2014. Samantha assists the physicians with testing of the patients and preparing them to be seen by the physician, securing vital information regarding the patients health, medication and symptoms. Samantha enjoys painting and playing Frisbee with her dog Remi. 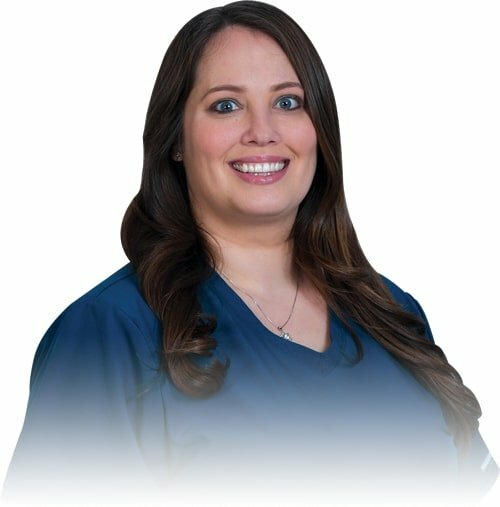 Ashley joined our practice in April of 2018 and is responsible for processing orders and scheduling all sleep studies and equipment for the treatment of sleep apnea. She works with all patients in the Sleep Disorder Network for both Dr. Timothy Lucas and Dr. Alan Kanouff. 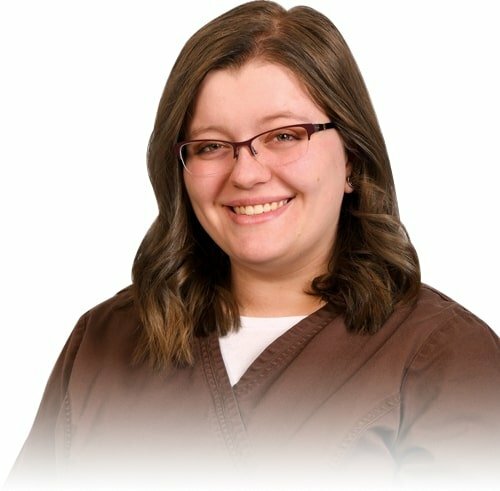 Ashley is a graduate of YTI Career Institute, Altoona, with an Associates Degree in Specialized Technology from the Medical Assistant Program. She is also certified as a phlebotomy technician. Ashley resides in Tyrone with her daughter and her husband, and enjoys family time. Jenice is a Sleep Technologist in the Sleep Disorder Network for the Lung Disease Center of Central Pennsylvania. She is a Registered Polysomnographic Technologist, has been a Respiratory Therapist for twenty years and worked in the sleep field for fifteen years. Jenice is a Registered Respiratory Therapist (RRT). Jenice obtained her Registered Sleep Technologist (RST) status from the American Board of Sleep Medicine November 2011. She became a Registered Polysomnographic Technologist (RPSGT) in 2007 and is licensed as a Certified Respiratory Care Practitioner. 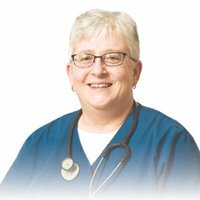 She is a member of American Association of Respiratory Care and American Association of Sleep Technologist.Jenice lives in Johnstown with her husband Barry. She has two sons, two canines and a granddaughter. 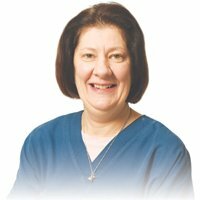 Rose has performed the duties of x-ray technician for 20 years as an employee of Altoona Lung Specialists. 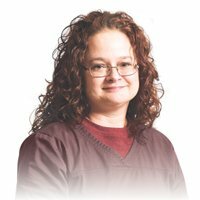 Her duties include performing x-rays on our patients as well as securing and maintaining the x-ray records and films of diagnostic studies performed on our patients. Rose treats all of the patients in a professional, kind and caring manner. Rose resides in Altoona with her husband, Ron. She enjoys reading, shopping, baking, collecting Longaberger baskets, and spending time with her family and friends. 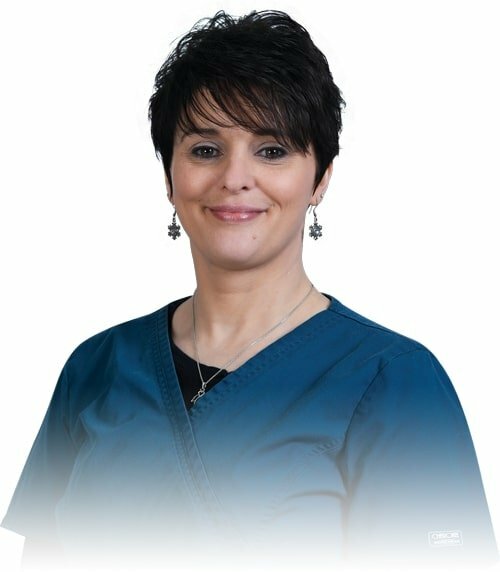 Dena joined the Altoona Lung Specialists Team in July of 2018. Dena is a 2007 Graduate of Mt. Aloysius College with an Associates Degree in Medical Imaging, and is an active member of AART and PSRT. Dena resides in Tipton with her two daughters. She enjoys baking, bowling, and watching college football. Summers are spent at the softball field where she coaches her daughters teams. 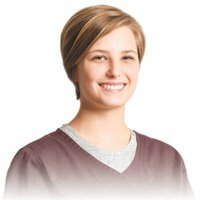 Kaela joined Altoona Lung Specialists in March of 2018. She has an Associates Degree from YTI Career Institute as a Certified Medical Assistant and a Certified Phlebotomy Technician. Kaela resides in Altoona with her husband and daughter. She enjoys listening to music, drawing, and spending time with family.